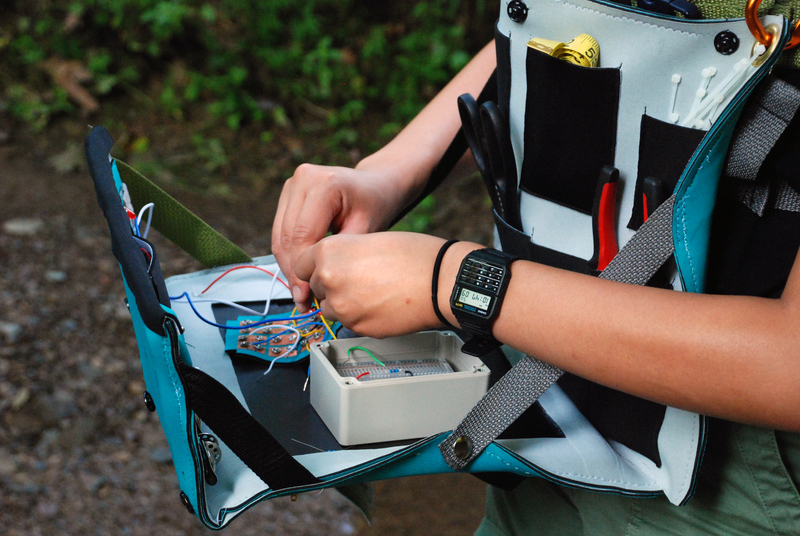 Field Computing is an ongoing interdisciplinary research project to design and build wearable devices for use in citizen science applications. 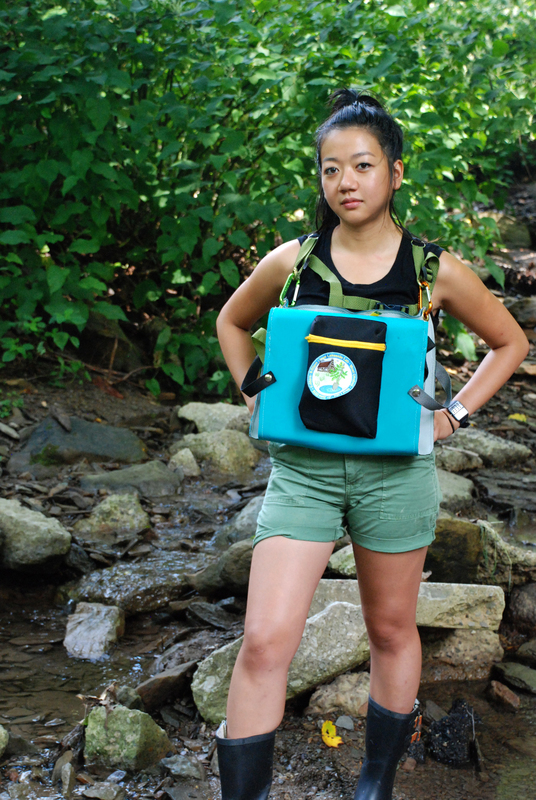 The works from this project is derived from the fields of wearable electronics, citizen science and environmental biomonitoring through a critical design perspective. With each piece a different context and community is explored to build an overview of various aspects and potentials of this research. Check out progress and updates here! Portable Workspace is a wearable device that unfolds into a physical computing studio, inspired by Wearable Studio Practice, a collaborative project by Hannah Perner-Wilson and Andy Quitmeyer. 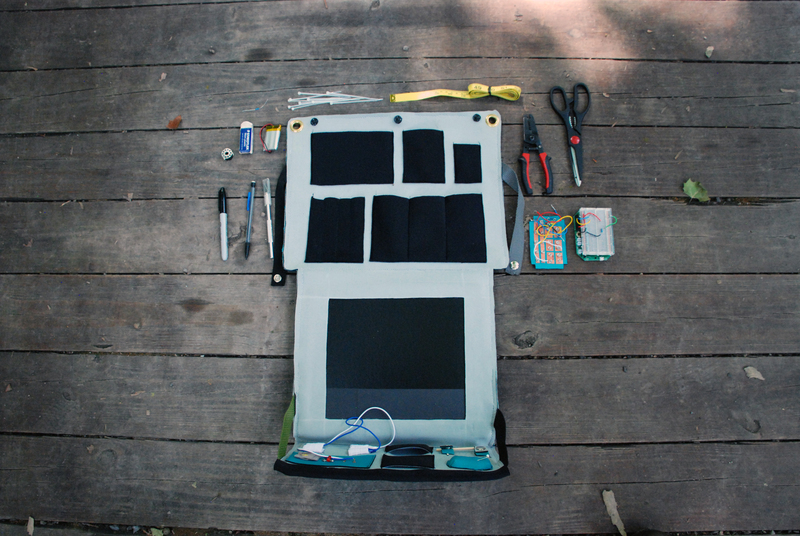 The device contains the tools and work area for a user to build a project when they are out and about. 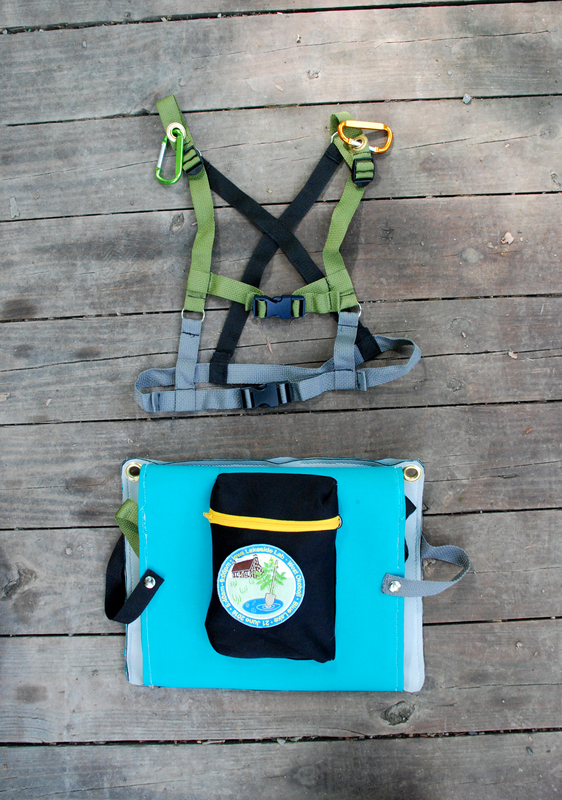 This project explores changing sites of production for technology as it relates to wearable technology, citizen science and environmental monitoring. Portable Workspace was designed and fabricated at the Iowa Lakeside Laboratory during a two week artist residency. Work in progress ~~coming soon!! Data HarVest is a device that collects physical artefacts and digital data during specimen collection for mushroom forays.